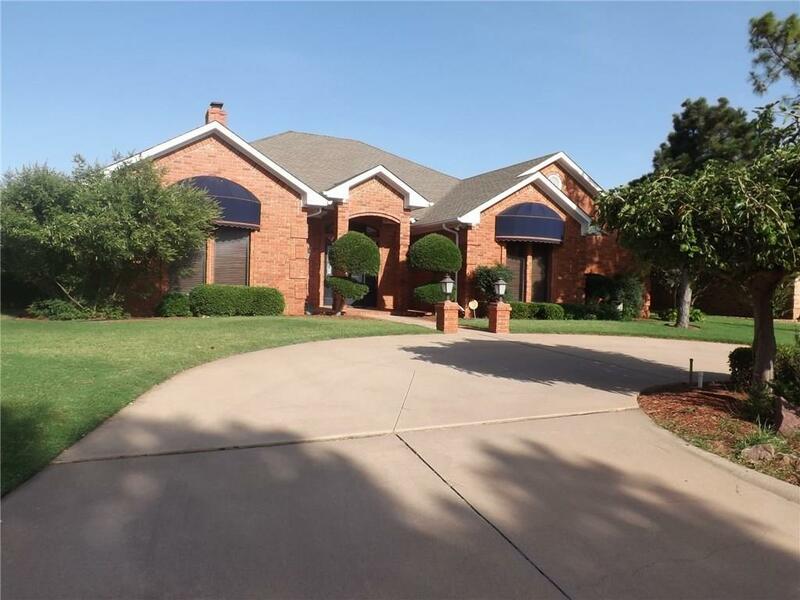 2219 William Drive Altus, OK. | MLS# 826630 | CENTURY 21 Altus Prestige Realty, Inc.
Beautiful Custom built home. One & half story home with 3167 SQ FT. The downstairs has large entry, family room with fireplace, formal dining room, nice office, 3 bedrooms,2.5 baths, large utility room with wet sink & hanging rod.Kitchen has beautiful dark wood cabinets corrian counter tops, gas cook stove, island, breakfast bar. The floors in kitchen are polished brick. Nice tile back splash. Master bedroom has fireplace. Master bath has large marble shower, double vanities & jetted tub. Family room has lots of nice built ins, can lighting, ceiling fans. Home has some plantation shutters. Upstairs would make a great media room or could be a fourth bedroom. Lots of extra storage upstairs. Over sized garage with work bench & a large concrete storm cellar with entry from garage.Two zoned H/A. Beautiful backyard with a covered patio, pergola covered with wisteria,RV PARKING, Basketball court.This home has great storage & closet space-SPLIT BEDROOM PLAN, Great landscaping! Circle drive! Selling Office: C-21 Altus Prestige, Inc.